By all accounts, American muscle is still alive and well. 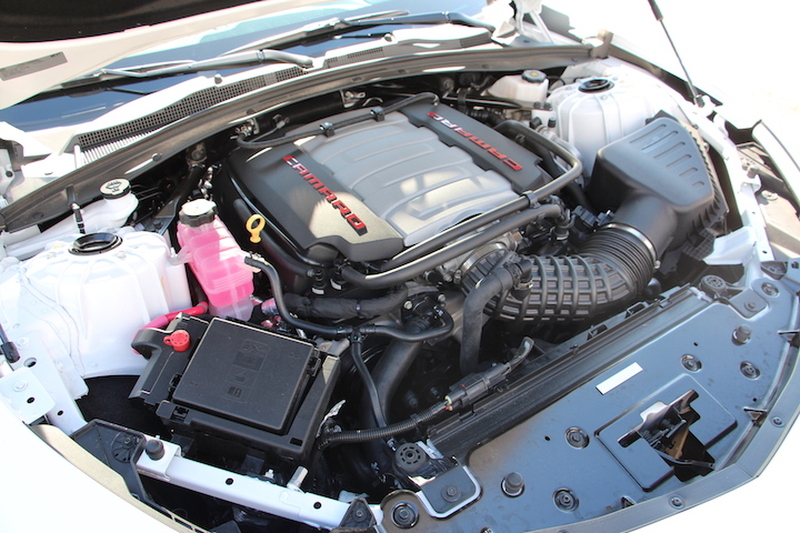 Dodge has two 707-horsepower snarling monsters in the Charger and Challenger Hellcat. Ford has a 526-horsepower Shelby GT350 for the track. Chevrolet, on the other hand, has something even more special than both of those cars combined. 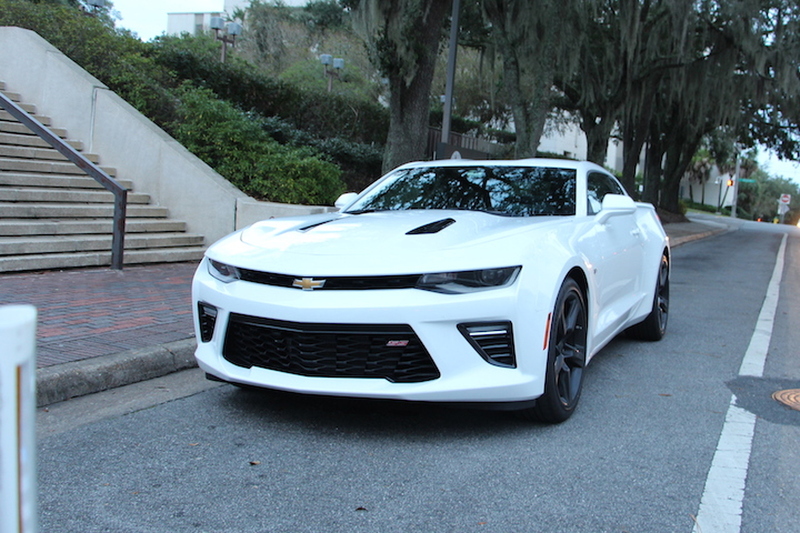 You see, where Ford and Dodge went one direction with their respective sporty muscle cars, Chevrolet engineers decided to turn the segment on its head with the 2016 Camaro SS. And we mean that in the best way possible. Driver-Designed Look at the exterior of the 2016 Camaro and you wouldn’t know that much has changed. It still has an aggressive stance, and some muscular body lines. But dig a little deeper and you’ll see the new fascia is subtly better looking, the rear fascia is slightly sharper, and the side panels are edgy defined. Truth be told, it won’t win any beauty contests. The looks are kind of garish, though not all that unappealing. We suspect it won’t age well with its cartoonish design, but does enough to get some fifth-gen owners snapping their necks to catch a glimpse. Shift your focus form the sheet metal to the soft leather and things get much better. The driver-focused cockpit is indeed narrowed, but really connects you to the car in a personable way. Whereas cars like the Challenger and Mustang make you feel like you’re captain of the titanic. Quality Materials Quality materials; quality materials everywhere. You wouldn’t believe that you’re driving a Chevy if you didn’t know any better. Chevy even went so far as to put a leather arm rest at the top of the door, because we know all cool Camaro owners like to put their arms out the window. 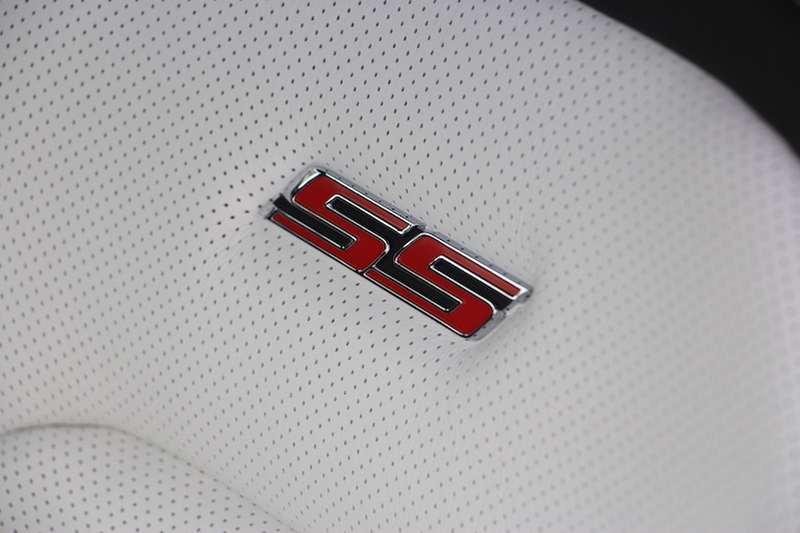 The leather seats in the SS are out-of-this-world comfortable. We drove over 810 miles and never felt like the seats were forcing us out of them. The bolsters aren’t what we’d call snug, but do the job nonetheless. Likely marketed more to the American buyer, if you catch our drift. 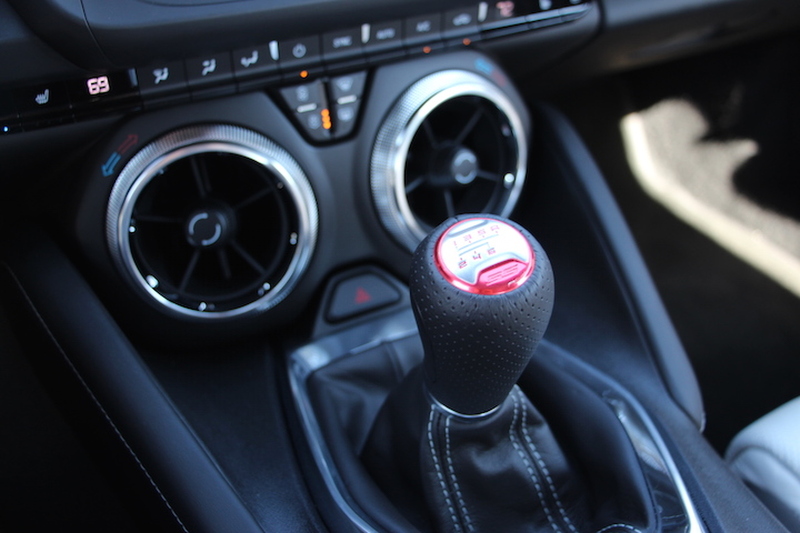 The 8-inch screen is awkwardly pointed downward (but pretty easy to use once you get the hang of it), and the air vents are located below the shifter, meaning your hands get pretty cold. We would love a USB outlet in front of us as opposed to the center console. Guess we’re asking too much. Millennial-Focused “Millennials don’t buy cars!” said the sheep. They’ll buy this one, believe us. 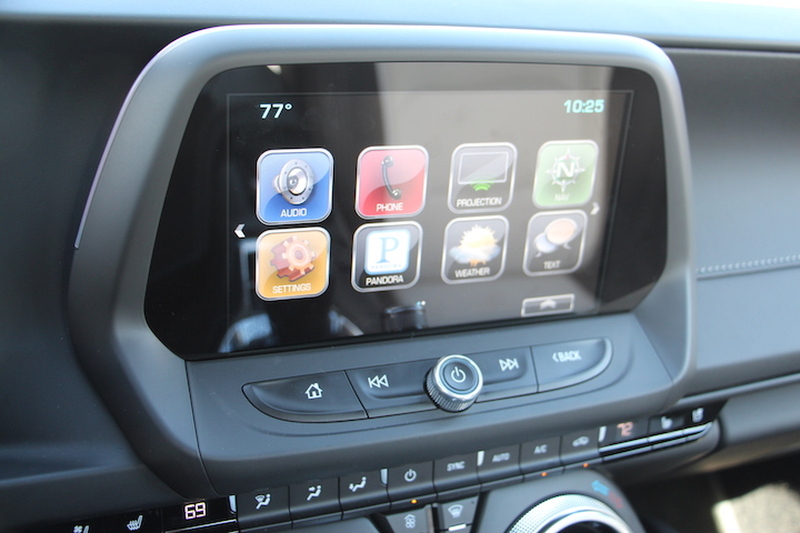 Apple CarPlay and Android Auto are soon becoming a must for the industry. Chevrolet follows the same sentiment, and fit both systems standard in the new Camaro. It’s mostly faultless. Siri voice recognition works surprisingly well and without hassle, maps are prominent and easy to use, and Pandora links your favorite stations to the interface almost all of the time. Occasionally it did get a bit fussy and didn't want to connect correctly. But what good is any of this tech if you’re just eating up data on your phone? Chevy thought of that, too. The Camaro is a wifi hotspot, and comes in extremely handy even in some of the most remote areas. A breath of fresh air for companies struggling to fit cars with the right technology. Pony Punisher It’s wonderful that cars like the Challenger Hellcat exist. Just dandy. But realistically that car is about as refined as a machete. 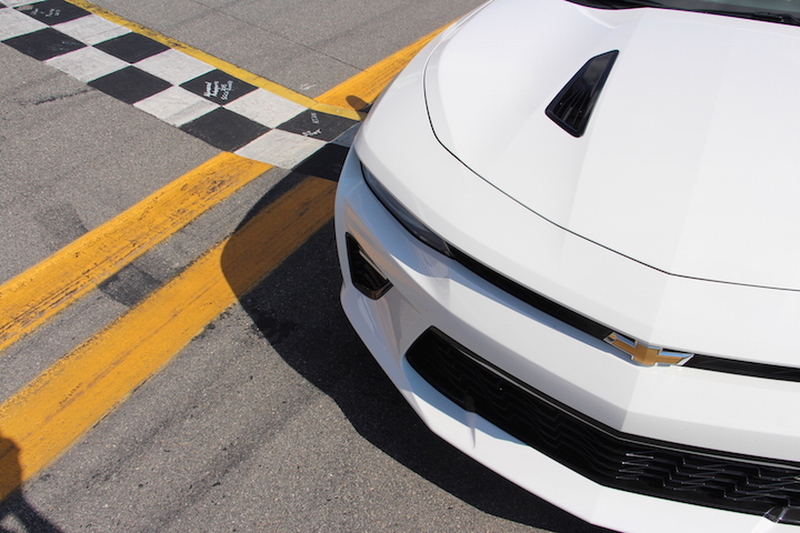 The new Chevrolet Camaro, on the other hand, mimics something more comparative to a surgeon’s scalpel. The immediate sense you get driving this car is, “Holy s#!t.” The transformation from fifth-gen to sixth-gen is about as dramatic as it gets. Body roll, lifeless steering, unrefined performance—all gone. 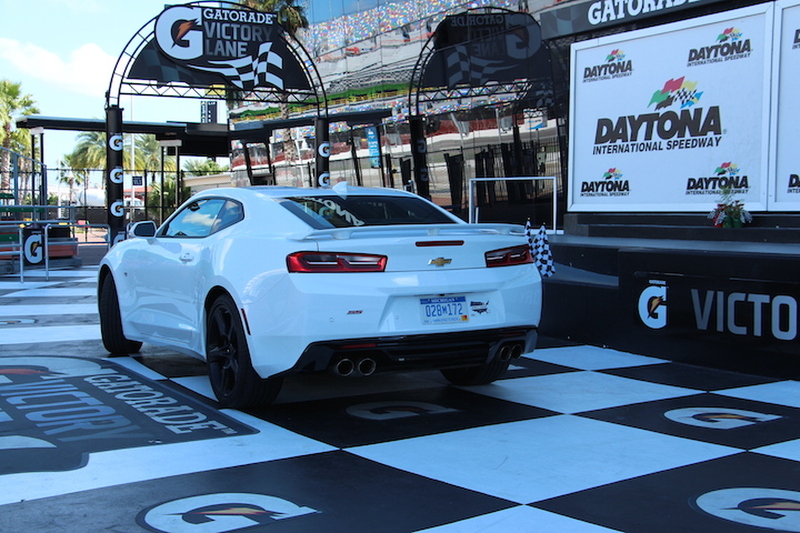 The 2016 Camaro redefines the sporty muscle car segment by focusing its attention on handling over horsepower; refinement over raw power. It’s all thanks to the new setup underneath. 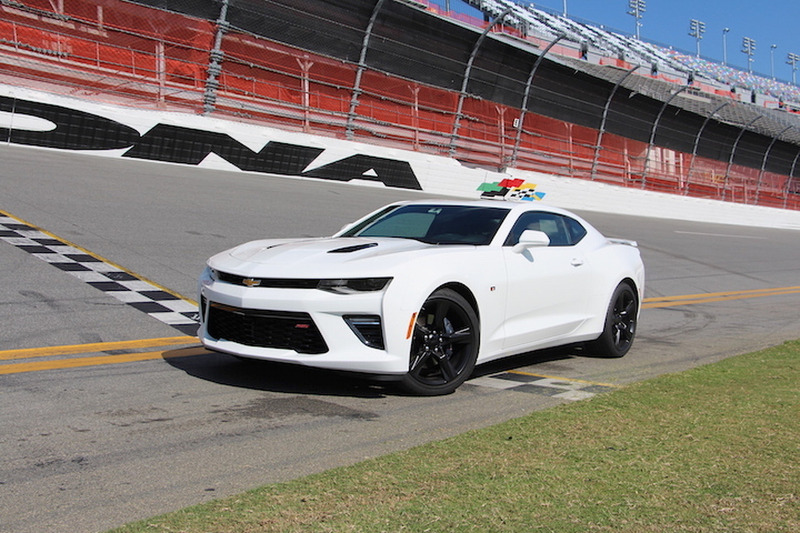 The Alpha Platform carried over from the ATS works phenomenally well in Chevy’s two-door performance car. It’s 223 pounds lighter than the outgoing model (3,685 lbs automatic), and shows a 14-percent increase in power to weight. Magnetic Ride Control is just the very necessary cherry on top, but that's only available on the SS trim we were driving. Around the corners this car just performs. Point and shoot, and the Camaro goes where you want it to go without too much fuss. Novel idea. At times, the steering can go a little numb, but it’s easily corrected by putting your right foot closer to the carpet. That being said—um, it’s freakin’ quick. The power doesn’t come on immediately, but in a strong wave. The 455 horsepower you are getting comes from the same V8 found on the Corvette, and the 455 lb-ft torque outdoes anything the Mustang puts out. That means from a standstill, it’s about .5 seconds quicker to 60 mph (4.5 vs. 4.0 seconds). Don’t Sweat the Small Stuff As good as this car is, there are, of course, a few small quirks you should be aware of outside of the ones mentioned above. The metal seatbelt holder on the driver seat bolster will literally bruise your leg the amount of times you hit it getting in. There aren’t enough places for snacks (i.e. : door pockets), and the rear seats are virtually unusable by anyone over 5 feet. Or maybe those are for snacks? But for how great everything else about the new Camaro is, these are small details that can be overlooked by most buyers. The Verdict Color us impressed. We would have never thought going into this review that we’d come out wishing we had one of our own. It’s refined, it’s cool, it’s loaded with technology. It’s the best Camaro that’s ever been built, hands down. After reading this, you’re probably trying to find a way to take out a second mortgage to afford one. Good thing you don’t need to. 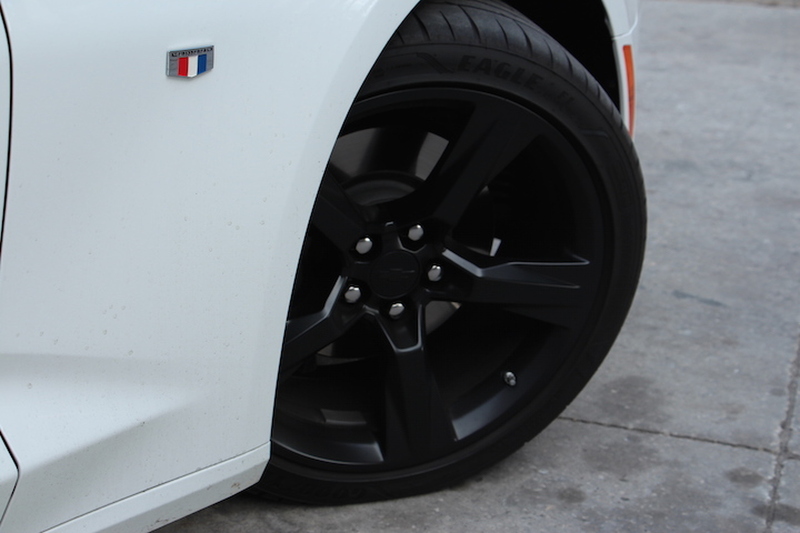 The SS we drove was loaded to the brim with a manual gearbox and still only warranted a $46,080 price tag. Comparably you’d be paying nearly $30,000 more for a V6 F-Type that—let’s be real—isn’t as good. Opt for a base, no bull, four-cylinder, and you’ll only be paying $25,700, and that’s still putting out a respectable 275-horsepower. Throw out everything you thought you ever knew about Camaro—there’s a new world-class player in the game.